Home Uncategories Making Small Spaces Beautiful! 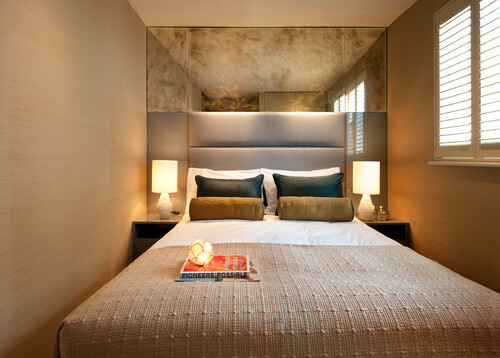 This blog post is going to be dedicated to making those small spaces in your home, comfortable and Chic! Maybe you have a small box bedroom and you don't know what to do with it, or a small space downstairs such as a empty utility cupboard, or maybe your House in general is of a smaller size! Heres some great tips and inspiration to make the most out of your space to create a comfortable and inviting area. This space is small, yet looks larger and open due to the light tones, blended with the colours that come from the soft furnishings, Notice even the floor is a lighter colour, this helps bounce and reflect light around the room creating a feel of space - Clever use of storage and shelving helps you keep things tucked neatly away whilst allowing you to store your valuables. 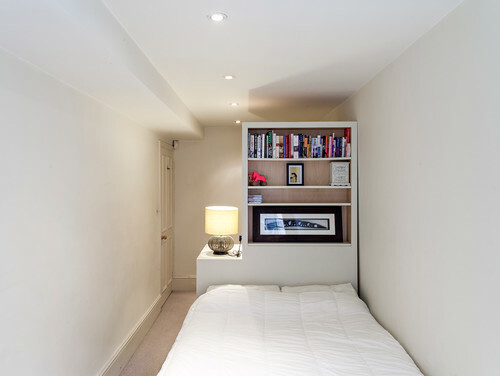 This is a clever use of a room that would otherwise be more a 'Office space' rather than a bedroom, but with clever use of storage that goes all the way up to the ceiling and spotlights emphasising the floor space this has been cleverly turned into a cosy bright bedroom. Notice the bright light whites and carpets helping the room feel more open, and minimal detail on the wall to help the room seem more spacious and less cluttered and claustrophobic. 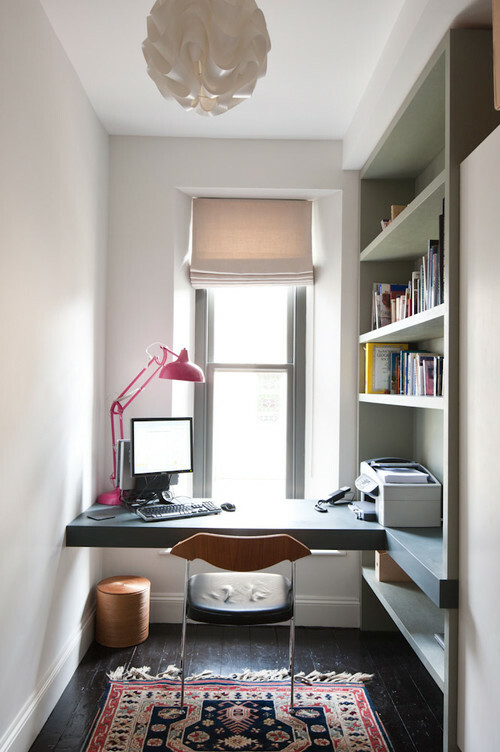 This extremely small space has been transformed into a office with some brilliant storage solutions. 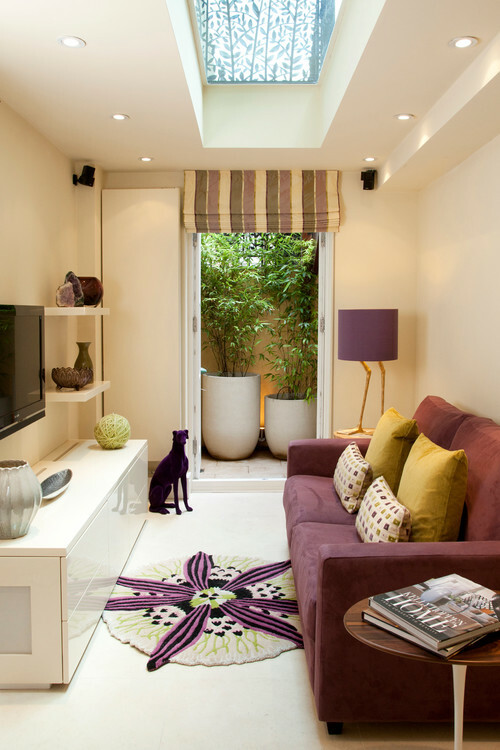 Getting Bespoke made for you storage is worth the while when you have a room this small. Mirrors are fantastic at making a space seem and feel bigger than it actually is, having a wall full of mirrors in a larger room can look tacky, but apply it to a smaller room can look fantastic, We love this grunge look applied to the mirror, this room looks comfortable and cosy, yet offers little space, Keep decor to a minimal don't plaster the walls with pictures, this can make the room seem claustrophobic, less is more in a small bedroom space like this. 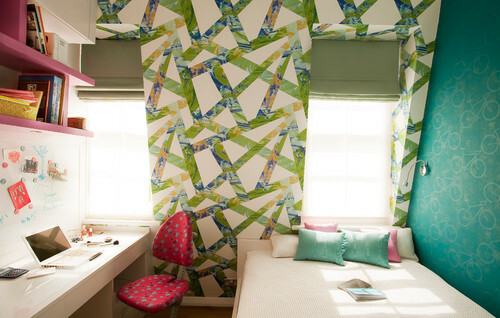 This is a beautiful use of space for a children's/teenagers bedroom. Enough Space for a desk and the use of colour adds personality - Notice there is not any canvases/pictures on the wall- the wallpaper adds the detail keeping things minimal still but adding personality and a tonne of colour! 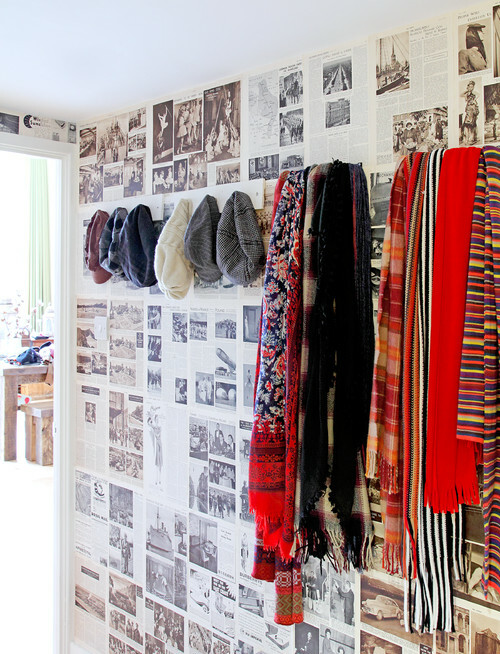 Hallways can be a tricky thing to figure out, Often too small to hold any real storage, yet it is the space where people take off there jackets/shoes, a great solution to this, particularly if your hall way is narrow or small is wall storage it is a great solution: hooks/shelves and umbrella hangers are a great idea! Often a Hallway is the first thing anyone first sees coming into your house, so be careful not to over clutter and spread your hooks out so your coats aren't bundled in one big pile. This dining room is small yet chic, notice the use of light colours, avoiding any dark furnishings, this helps the room feel fresh and spacious given its limited space. It's always a great option to choose tables and chairs that are extendable for smaller rooms and a table design where the chairs can tuck all the way into the table allowing more floor space when the table isn't being used. 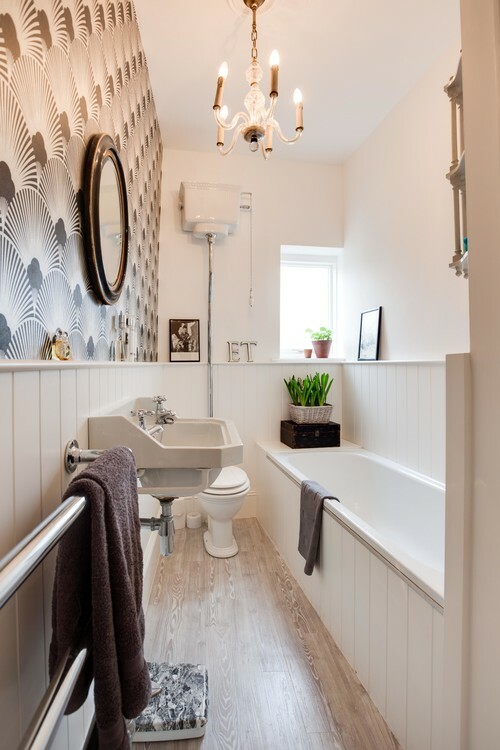 Bathrooms can be a tricky place to decorate, using light colours and one feature wall can really make your bathroom stand out , Using towel rails and clever shelving solutions to keep all your products you can make the space clean and tidy.